The partial U.S. government shutdown reached day 31 Monday with the Senate’s Republican leader preparing a vote on a proposal that President Donald Trump is calling a compromise and Democratic leaders say is a non-starter. Trump’s plan would provide three years of protection against deportation for hundreds of thousands of immigrants who came to the country illegally when they were children, as well extensions of protected status for people who fled their countries due to violence or natural disasters.In return he would get the $5.7 billion in funding he wants for a wall at the U.S.-Mexico border. Democrats object to the border wall as an ineffective and expensive security solution.They want Trump and Republicans to agree to reopen the government first and then discuss other border security initiatives. 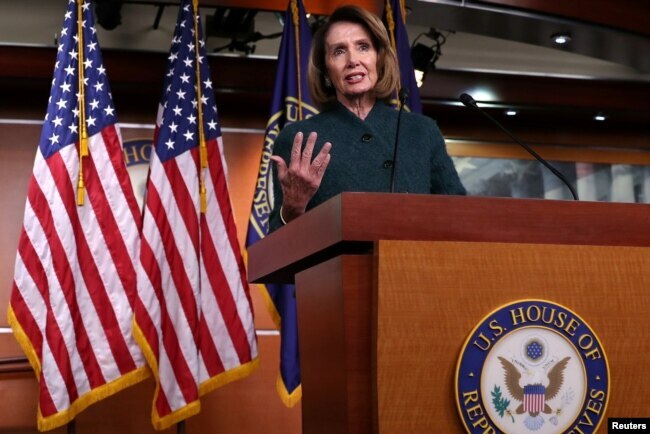 In the House, Speaker Nancy Pelosi said she is planning votes this week on adding more immigration judges and money for scanning vehicles and drugs at the country’s ports of entry. The House has already passed multiple measures that would reopen the government, but McConnell has refused to bring them up in the Senate, saying he will not consider any bill that Trump would not support. FILE – U.S. House Speaker Nancy Pelosi holds a news conference at the U.S. Capitol in Washington, Jan. 10, 2019. 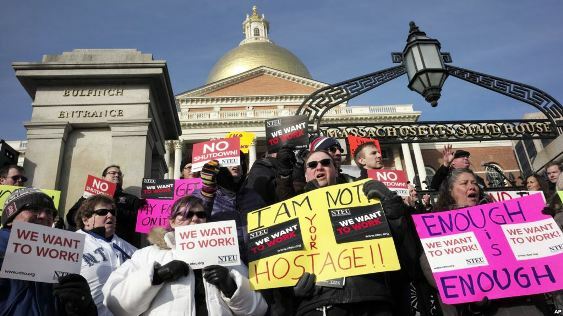 While the shutdown continues, about 800,000 government workers are either continuing their jobs without pay, or have been furloughed. Pelosi used her own post Sunday to reiterate to Trump the Democrats’ position. “800,000 Americans are going without pay. Re-open the government, let workers get their paychecks and then we can discuss how we can come together to protect the border. #EndTheShutdown,” Pelosi said. “Protecting Dreamers and TPS recipients is the right thing to do. The President is wrong to hold them hostage over money for a wasteful wall that could be better spent on more effective border security measures. 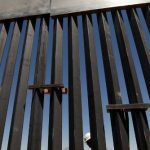 The President’s trade offer — temporary protections for some immigrants in exchange for a border wall boondoggle — is not acceptable,” Lowey said. 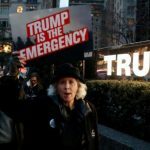 Conservative critics of Trump’s plan said the protections against deportation amounted to amnesty for lawbreakers. Even if the Senate approves Trump’s plan, it would face defeat in the House. 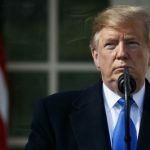 A Senate victory for Trump, however, could force new negotiations over his border wall plan and over reopening the government, as furloughed federal workers are set to miss their second paycheck next Friday. As tensions over the border wall and the government shutdown continued unabated last week, Pelosi demanded Trump postpone his scheduled Jan. 29 State of the Union address before a joint session of Congress until after the government is reopened, submit it in writing to Congress or make the speech at the White House.Trump, in turn, postponed her fact-finding trip with other congressional leaders to visit U.S. troops in Afghanistan. Trump had not directly responded to her call to delay the State of the Union speech until after the shutdown ends. 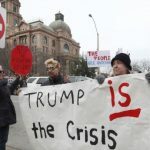 Trump’s National Emergency Declaration: What’s Next? « Who Was Martin Luther King Jr?